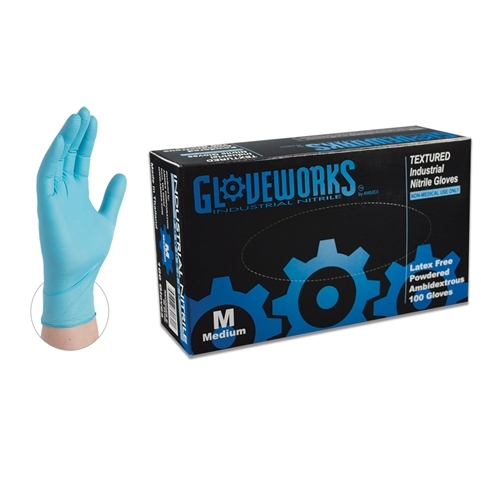 Ammex IN Gloveworks powdered, textured nitrile gloves provide over 3 times the puncture resistance of like latex or vinyl gloves. They are coated with a polymer that allows for easy donning. These tough gloves are textured to provide a sure grip.